If you have a missing tooth, it’s pretty likely that you’ve looked into dental implants – well, even more likely since you’re on our website right now! If you’ve done research, you may have found out how much a dental implant can cost. And if you did, you may also have been wondering how in the world a tiny little dental implant can cost so much! As your choice for a cosmetic dentist in Mililani and Waipahu, we at Palola Dental will be glad to answer this question for you. First, we’ll go over the dental implant itself. 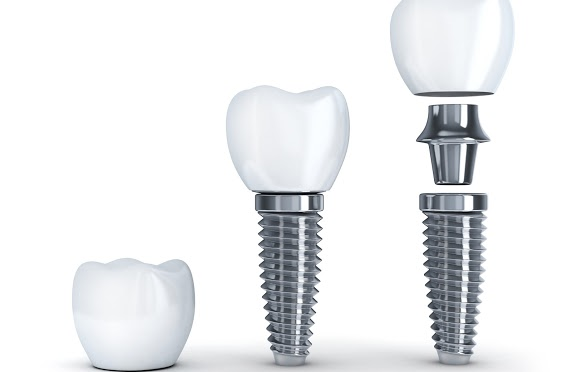 A dental implant is made of a titanium post that’s screwed into a person’s jaw bone and designed to simulate the function of a tooth’s natural roots. Titanium itself is a strong, light, and very long-lasting metal. The other part of the dental implant is the lifelike crown that sits on top of the post. Crowns are expertly crafted to perfectly match the color and shape of the rest of your teeth so that it blends in with them. Both the crown and the titanium post will be in your mouth for potentially decades so it’s important that they’re both high-quality and as strong and durable as possible. We haven’t even gotten into the surgery part yet! Having a dental implant placed requires a surgery that the dentist needed to undergo years of training to learn and understand. The dentist must know exactly where to place the dental implant, drill into the jaw without hitting any of the major nerves, and integrate the implant properly with the jaw bone. While your family dentist in Waipahu and Mililani may make this incredibly complex treatment seem so simple and routine, trust us – it’s absolutely not! Failure in performing this treatment properly can result in pain and lost feeling in part of a patient’s face. Only a truly qualified professional will be able to perform this treatment in a safe manner. All these factors combined show why dental implants can end up costing a few thousand dollars. But you know what the truth is? It’s definitely worth it. If you have a gap in your mouth from a missing tooth, the rest of your teeth will start shifting around due to the extra space. A dental implant will prevent that. 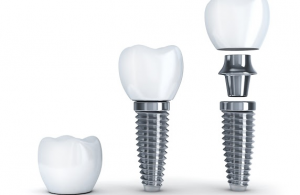 Additionally, dental implants will keep you from suffering from bone loss in the area of the missing tooth. They can help prevent gum disease, which is common for those who have missing teeth. Dental implants will allow a person to maintain good nutrition. Perhaps most importantly, dental implants will restore your smile back to its natural beauty. It can even give you more confidence as well! If you have a missing tooth and you’d like to get one of our dental implants or if you’re just interested in any of our other exceptional dental treatments, feel free to give your Mililani and Waipahu dentist a call at (808) 678-3000. Alternatively, you can just fill out our appointment request form to schedule a visit through our website. We can’t wait to see you and help restore your beautiful smile!